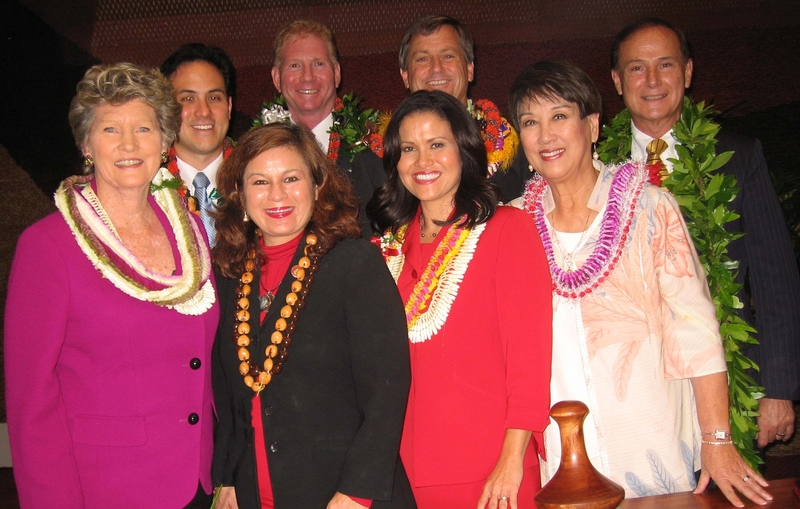 May 2, 2012 May 3, 2012 Hawaii House Minority Representative Cynthia Thielen, Representative Gene Ward Ph.D. The purpose of this bill is to repeal requirement that all Hawaii-grown green coffee beans be inspected and certified by DOA for grade and origin and related prohibition on shipping uninspected green coffee beans outside area of geographic origin. Version HD1 of this bill removes requirement that DOA inspect and certify all Hawaii-grown green coffee beans unless otherwise specified by DOA rules; removes prohibition on shipping Hawaii-grown green coffee beans outside area of geographic origin unless they have been inspected by DOA. Cuts bureaucratic red tape by eliminating lengthy delays caused by necessity of DOA inspections. Also allows green coffee beans to be shipped out of their district much faster, thus simplifying business operations and alleviating storage problems for coffee growers. Kona Coffee Council, Hawaii Coffee Company, Hawaii Coffee Association, Rural Kona Mill and Museum, Greenwell Farms, Hawaii Coffee Growers Association, Dole Food Company, Captain Cook Coffee Company, McDonalds of Hawaii, numerous individuals. The State Legislature has passed three groundbreaking bills to curb the growing cyber crime trend in Hawaii. The bills were the result of the cyber crime informational briefing co-chaired by Representatives Kymberly Marcos Pine and George Fontaine. Under these bills, law enforcement and prosecutors will have increased ability to charge cyber criminals with new or increased penalties. HB 1777 authorizes district and circuit court judges in Hawaii to order the production of records held by entities located outside of the state in all criminal cases. The intent is to help prosecutors to obtain electronic evidence that is often stored by mainland organizations. The Honolulu Prosecutor’s Office advocated for the bill, testifying that it was the most important action Hawaii could take to aid in the prosecution of cybercriminals. HB 1788, a cybercrime omnibus bill, toughens computer crime laws by modeling language after existing identity theft laws defining computer fraud as an aggravated form of theft. It also imposes harsher penalties by raising each existing crime one grade higher. Most notably, the bill creates a new offense of Computer Fraud in the Third Degree, a class C felony. The crime would involve knowingly accessing a computer, computer system, or computer network, with intent to commit theft in the third or fourth degree. HB 2295 expands the existing offense of Use of a Computer in the Commission of a Separate Crime to include situations where a perpetrator knowingly uses a computer to perform certain acts against a victim or intended victim of Harassment under HRS 711-1106 or Harassment by Stalking under HRS 711‑1106.5. The bill clarifies that the offense is also committed when the perpetrator knowingly uses a computer to pursue, surveil, contact, harass, annoy, or alarm a victim or intended victim. Hawai‘i State Representative Cynthia Thielen (R, 50th District: Kailua, Kaneohe Bay) challenged the judgment of the Senate after Senators passed legislation on the implementation of an interisland electric cable transmission system; only Senators Chun Oakland, Ihara, and Slom voted No. SB2785 SD2 HD2 establishes a regulatory structure for the installation and implementation of a cable system and for the construction of on-island transmission infrastructure. The bill includes language to allow the electric utility company (HECO) to recover the cable’s capital costs through an automatic rate adjustment clause. “How much can the people bear? According to Hawaii’s elected officials, apparently a lot. By agreeing to the House version of SB2785, the Senate has voted to make the public shoulder the burden of a $1billion cable system. This is on top of the $5 billion (and rising) cost of the Honolulu rail project which taxpayers are already funding. A billion for cable, five billion for rail and soon people sink under this load,” declared Thielen. “This legislation protects a private company and its shareholders from financial risk by placing the burden of that cost on the ratepayers – the public – even if the cable is not completed,” Thielen reiterated. 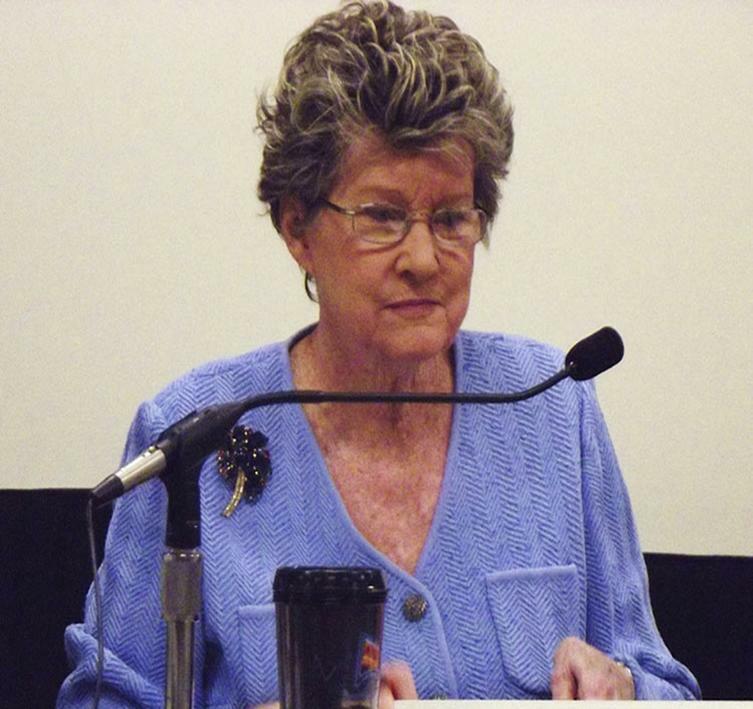 Representative Thielen, a long-time proponent of renewable energy technologies and reducing Hawaii’s dependency on fossil fuels, disagrees with the revenue recovery provisions of the bill. According to the United States Department of Energy, Oahu has more than enough available wave energy to meet its electricity needs. The DOE’s 2011 report titled “Mapping and Assessment of the United States Ocean Wave Energy Resource” found that Oahu’s total annual available wave energy is 22 TWh per year (terrawatt-hour per year). Oahu requires on average, according to HECO, about 7.7 TWh per year. Therefore, Oahu’s total annual available wave energy could provide almost three times the energy needed to satisfy Oahu’s energy requirements. The Marine Corps Base Hawai‘i at Kaneohe Bay (MCBH) understands the power of the ocean. MCBH is in the permitting stage of constructing a Wave Hub. “We should be focusing our renewable energy legislation to support sound development of this industry sector, rather than mandating that the public pay for a costly underseas cable project with questionable power output,” Thielen emphasized. More information on the DOE’s assessment of marine energy resources can be found at http://www1.eere.energy.gov/water/pdfs/mappingandassessment.pdf. Hawai‘i State Representative Cynthia Thielen (R, 50th District: Kailua, Kaneohe Bay) today tried to save a food sustainability bill widely supported by local farmers by amending another agricultural bill, HB 280 HD1 SD2 CD1, on the House floor. This amendment, which would have added the language in HB2703 HD2 SD2 to HB280 HD1 SD2 CD1, would mandate that the Department of Agriculture to develop a food sustainability standard which promotes local food production. Representative Thielen’s amendment required that, by 2020, food grown in Hawaii for local consumption would double from the amount which was grown in the state in 2014. She also told House members that farmers desperately need legislative support and Hawaii is missing a huge opportunity for self sufficiency and economic growth in the agricultural sector. “By not passing this amendment which establishes food sustainability standards, the Legislature again has neglected an opportunity to offer our agricultural community much needed relief and support. Hawaii is just days away from disaster if our food resources were cut off. We have no control of escalating prices based on shipping and fuel costs. Our farmers and local agriculture provide a safety net and insurance that will protect our state for generations to come,” said Representative Thielen. “According to the UH College of Tropical Agriculture and Human Resources, replacing ten percent of food imports with locally grown food would create a total of 2,300 jobs. This is in addition to the hundreds of millions of dollars which would be kept in Hawaii’s economy, stimulating growth and strengthening our local economy,” noted Representative Thielen. 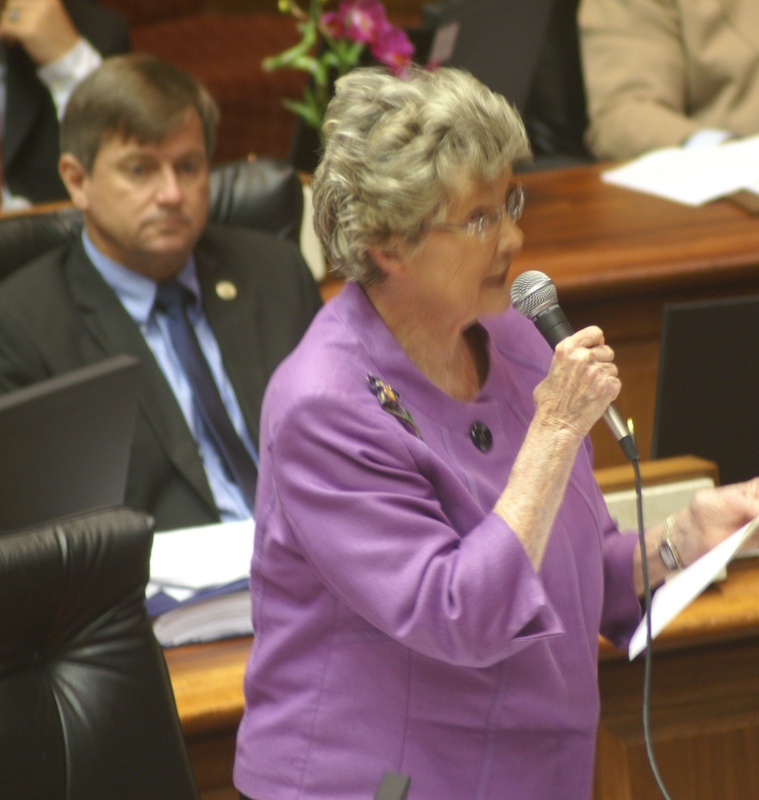 Representative Thielen’s amendment was killed today on the floor by the House Majority.